27 Apr - 19 May 25% discount. Villa Geni has stunning sea views and beautiful sunsets. 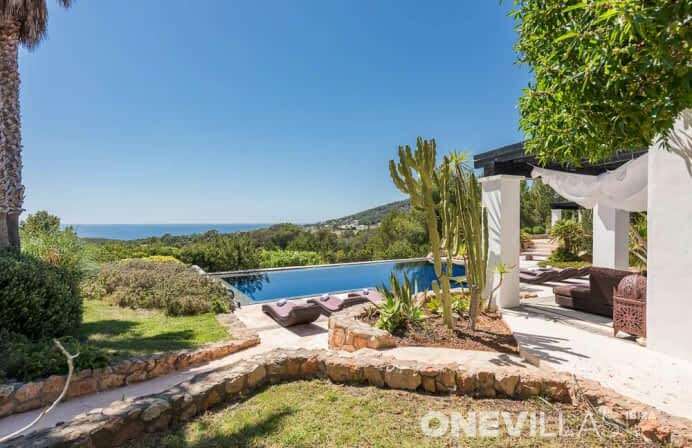 The villa is quietly situated on a hill and is surrounded by a lovely garden. There is great attention to detail and it is wonderful to spend time in the house. San Antonio is only a 10 minute drive away. The beautiful beaches of Cala Bassa and Cala Conta are a 15 - 20 minute drive and in about 20 minutes you are in Ibiza Town. Upon entering through the gate you will notice straightaway that both the house and the garden are very well maintained. The house has been furnished with great care; the owners live there in the winter and have an eye for perfection. Attached to a small seating area with an open fireplace is the living room with a corner sofa, designer chair and flat screen TV. Lots of light comes in through the large windows and allow you to enjoy the beautiful view, it's very nice to sit here. The dining table seats 8 people. There is a small bar that is wonderful for you to have breakfast at, for example. The open kitchen is equipped with all modern appliances and is adjacent to the covered terrace. There is a dining table here for 10 people with a ceiling fan for pleasant outdoor dining during the warm days. The outdoor kitchen is around the corner and has a fridge, sink, a grill, a gas hot rock BBQ and a gas Weber BBQ oven. 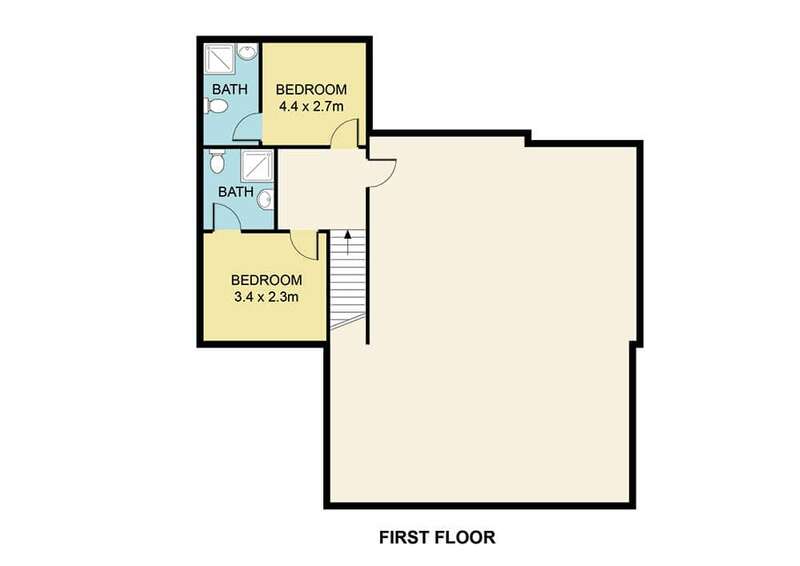 On the ground floor are the master bedroom with lots of wardrobe space and a large open bathroom with a bath and a shower. A designer mirror, TV and music system make it complete. 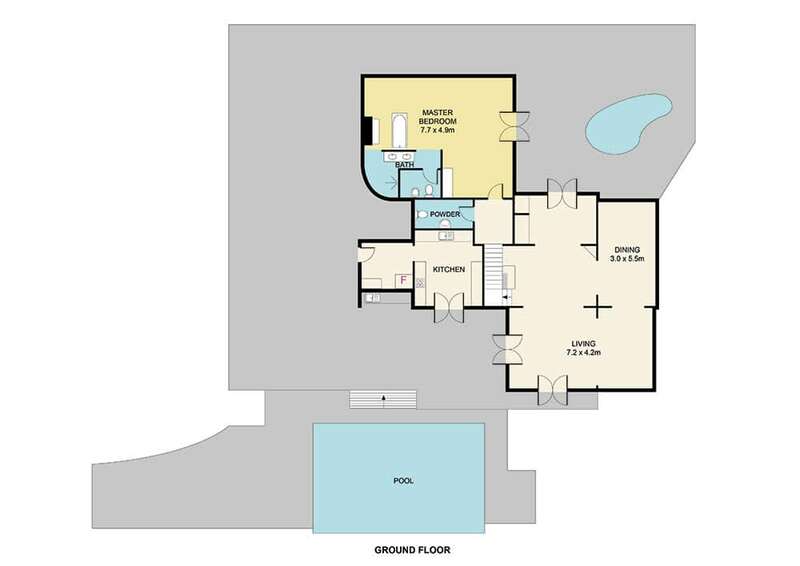 A designer staircase leads you upstairs where there are 2 bedrooms, each with private bathroom with shower. There is air conditioning in all the bedrooms. There are 4 sun beds and a large Balinese bed around the infinity pool. The swimming pool is heated by solar energy (there is reduced heating on less sunny days). There is also a charming lounge area outside with lots of pillows, a rooftop terrace, two hammocks, table tennis, a jeu de boules (petanque) court, a big chess game and there are fitness options. From the outside area you have lovely view over the hills to the sea, the sunsets are breathtaking here. See the photos of this beautiful home for a good impression! Additional service: 2x 4 hours p.w. cleaning. The pool is heated by solar energy (if the sun does not shine, then the heating is limited). It is a beautiful house. Nicely decorated, clean and romantic. You feel, see and notice that a lot of love and time has been put into it. And then I'm not just talking about the house and interior. But you also feel at home with the feeling of ease. Everything is there and you can use it. Think of that small bar of salt or sweets, detergent, anti mosquito and insect stuff, candles, waxine lights etc. Simple things. But it just gives that little bit of convenience and home feeling. The owners were also very nice and involved. Very nice interior with warm atmosphere and attention to detail. Everything on-site what you need in the kitchen us outside bar. All details very thoughtful. If you are looking for a perfect holiday accommodation then you have to book this villa !!!!! very nice house, and all materials are present from cocktail shakers to the drink itself. Location is sublime. The owners are super nice people. The house was even better than promised photos. The sunset during dinner on the terrace was breathtaking. The house was tastefully decorated and the hospitality of the owners was heartwarming.